Designed the visual brand story (logo design, brand style guide, iconography), product artwork, and marketing collateral for Gathered Gifts, an online destination celebrating the stories and products of modern families by honoring their traditions, new and old. Gathered Gifts reinterprets traditional cultural products into modern, contemporary translations fit for today’s world. 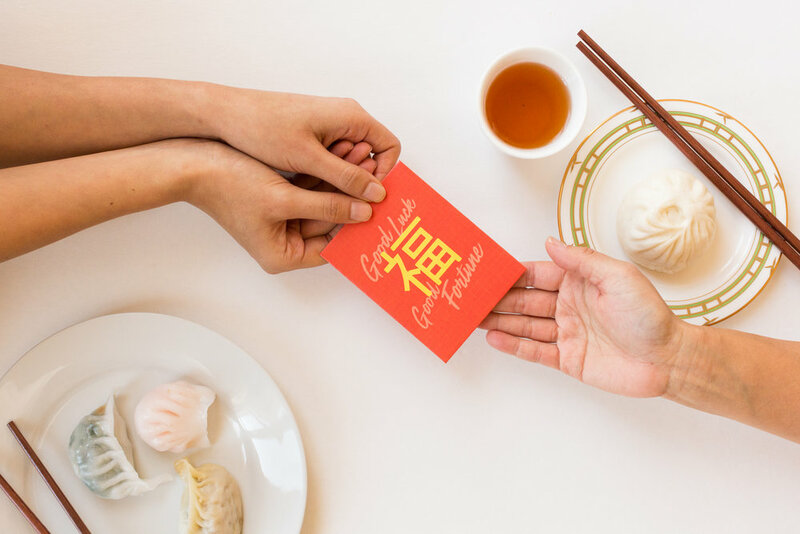 Gathered Gifts' first product collection celebrates the Chinese tradition of giving red envelopes, used to send best wishes and good fortune for special occasions, such as weddings, birthdays, and Chinese New Year. With this in mind, I designed a collection of red envelope designs that honors the tradition in a new way using modern typefaces, clean lines, and bold graphics. The Gathered Gifts logo showcases a modern take on the Chinese “good luck” knot. The interwoven lines forming the knot pattern represent the connected stories and traditions that Gathered Gifts aims to honor through its products. Furthermore, the continuity of the lines underscore the connections and lineage within families and at the core of celebrated traditions.